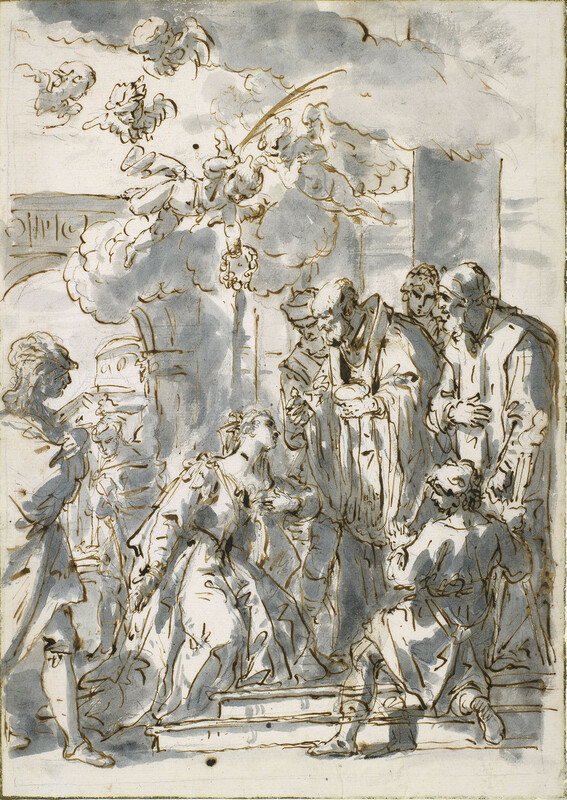 A black chalk, pen and ink and wash drawing of a kneeling female figure, being administered to by a priest. A preparatory study for the whole composition for Ricci's painting the Communion of St Lucy for the church of S. Lucia, Parma. The painting was commissioned by the Venerando Consorzio dei Vivi e dei Morti for the sum of 100 luigi. Other studies for same painting are RCINs 907127,907146 and 907147.